The white sand beach of Playa Flamingo has become a go-to tourist getaway by the sea. The scenery of blue sea, white sand, and mangroves has attracted developers in recent years, with the relatively late development of the resort town meaning that it lacks a distinct town center. Instead, Playa Flamingo vacations center themselves around one of the many all inclusive resorts located here. Aside from the traditional beachside and nautical entertainments of diving, sailing, and swimming, Playa Flamingo lends itself well to a number of day trips, with nearby national reserves home to an array of species, including the endangered leatherback turtle. 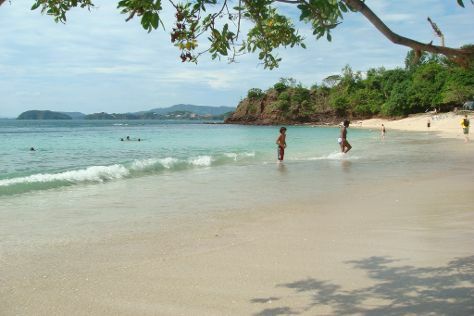 Playa Flamingo is in Province of Guanacaste. With our custom trip planner, Costa Rica vacations can be built around trips to Playa Flamingo and other destinations in Costa Rica.